When organizations do not have an optimized HR and talent acquisition strategy, they are at risk of hiring mediocre candidates or simply missing out on potential candidates available. This can result in high staff turnover, and a waste of money, time and resources. Amongst other factors, the staffing and sourcing costs, training and on-boarding costs, and lost time, can all impact the bottom line. Furthermore, having the wrong person performing the wrong role can lead to increased risk, errors, and a reduction in your company’s productivity. With our help, your organization will have the ability to rely on alternative sourcing channels beyond the traditional hiring methods and achieve a comprehensive approach to talent acquisition. HCMWorks’ helps organizations integrate a flexible, contingent workforce into their total workforce management strategy, in a structured and efficient manner. It starts by working with the talent acquisition stakeholders and their procurement counterparts to develop a talent acquisition strategy for the non-employee workforce that will complement the overall business objectives and staffing strategy of the entire organization. Beyond the complexity of using contingent labor to complement your access to talent, companies often need guidance to support them when “managing” this non-employee workforce. HCMWorks can become an extended HR business partner for your organization, with many years of cross-industry experience to support you. What can you expect by working with a contingent workforce specialist like HCMWorks? We present a series of non-exhaustive benefits to support your HR and talent acquisition goals, based on our deep experience and real-world evidence from clients cases across North America. With our help, your organization will have the ability to rely on alternative sourcing channels beyond the traditional hiring methods, and achieve a comprehensive approach to talent acquisition. 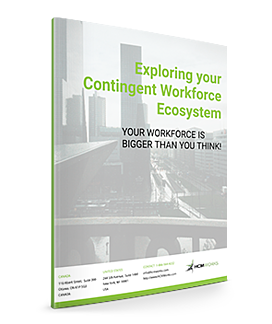 By leveraging the contingent workforce marketplace, organizations increase their exposure to talent by upwards of 30-50%. This is especially true for niche skills in sectors like IT, security, nursing, engineering and various professional services. By launching concurrent searches for talent, your organization improves its time-to-fill ratios dramatically. Imagine having the ability to centrally and electronically dispatch 1 Job Posting to 12 preferred vendors, who have 3 days to return 2 qualified CVs each for your consideration. Finding the right candidates on time, for critical job postings, requires ‘‘flexibility", process and structure. Putting a contingent workforce acquisition strategy in place will allow you to reach qualified candidates while they are available before your competitors do. With a shorter time to hire and more qualified candidates, you will spend less time dedicated to administration, due to automation, so you can expect a significant drop in your recruitment costs. Using contingent labor as a starting point to vet potential employees is a great way for organizations to limit their cost of turnover and bad hiring decisions. 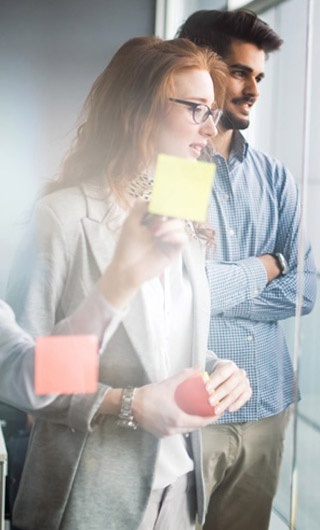 By incorporating a strong contingent workforce management strategy, your organization can improve retention and create valuable conversion strategies to internalize talent by hiring them permanently. Once you’ve quickly hired quality contract workers, you still need to have the right parameters in place to manage them at ‘Arm’s Length’, while being mindful of the compliance and legal requirements you are responsible for. Other examples include knowing who works where, since when and what they do exactly. HCMWorks makes sure you are covered in these important areas to maximize your risk mitigation. A worker cannot start until he is fully on-boarded. With the right processes and technology to support this, organizations can simplify these steps and gain better control throughout the contractor lifecycles. Companies rightfully put a strong emphasis on their brand as an employer, think top 100 employers and their need to be a good corporate citizen. Many, however, forget that their interactions with temporary, non-employee workers have a very large impact on their overall brand. How are you currently being perceived by this workforce? It’s therefore imperative for organizations to identify and understand what they can do to manage a positive brand process effectively. Similar to the above, any contractors or candidates, all of which are potential future employees, can have a more enjoyable experience when they are mandated through a well designed, transparent and efficient recruitment process and positive on-boarding. This goes a long way to sustain a strong brand as an employer of choice. HCMWorks understands the critical role HR and talent acquisition plays in the design and implementation of a contingent workforce management program. We also understand your goals and what is important to you. 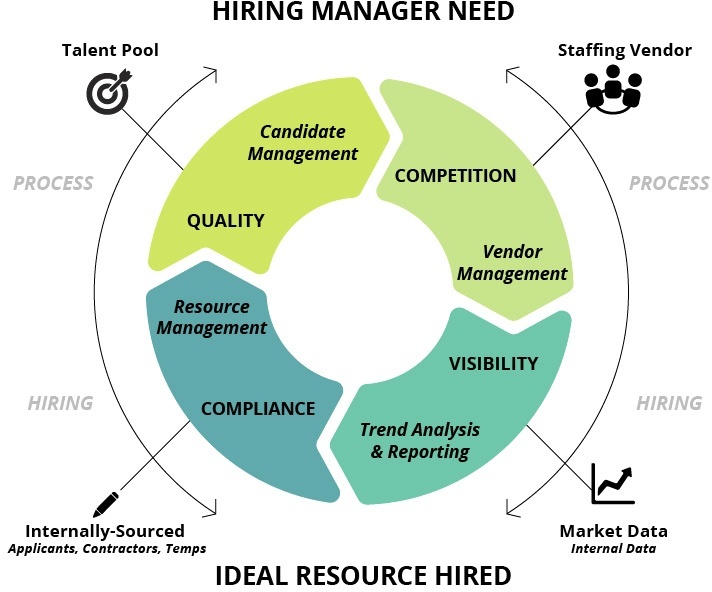 HCMWorks will help you to navigate this complexity by supporting and advising you on the best practices when selecting a technology and when managing your staffing vendors.